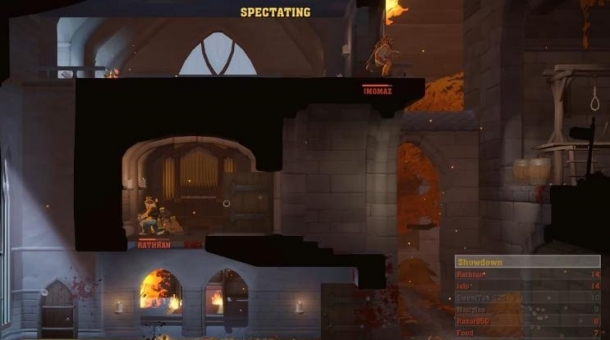 The Showdown Effect is a 2.5D multiplayer action game where players battle for the upper hand through cunning use of different weapons, the game's wide range dynamic environments and even the engine's own dramatic audiovisual effects. The Showdown Effect allows you to customise your character's loadout. Below you will find a list of weapons you can equip in the game. You start off with access to Machine Guns, Swords, and Kung Fu and can then purchase additional weapons to unlock them. The Showdown Effect can be pre-order via the official website. The following descriptions detail the various pre-order bonuses and different editions of the game available.